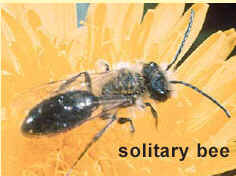 Swarms are a normal part of the life cycle of a honey bee colony. The old queen or a young newly hatched queen leaves with many of the worker bees, possibly with up to half the colony. 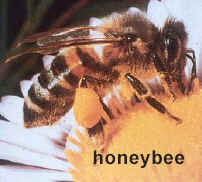 They have filled up with honey and are searching for a new home and so are normally docile and not interested in humans. They will often find a place to hang from such as a convenient tree, while scout bees go in search of a suitable home, such as a hole in a tree or a building. We are happy to arrange for a Beekeeper to collect the swarm and find a new home for it. We appreciate a small donation to cover costs. However, if it is not accessible, very high in a tree or in a building it is unlikely that we can help you although we will be pleased to offer advice. 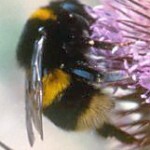 Start by checking for a beekeeper who is local to you by putting your postcode into this website. 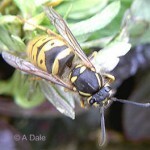 You may also contact our swarm co-ordinator on 07761 839119. We have members covering the East Kent area particularly Canterbury, Folkestone, and Dover and in between. 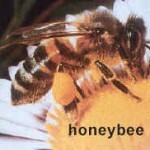 It is easy to think that a lot of bees attracted to the nectar in the flowers of a tree or shrub are a swarm. 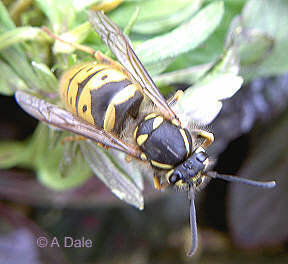 However, a swarm of bees when at rest will usually form a cluster larger than a tennis ball and more typically the size of a football or even larger. 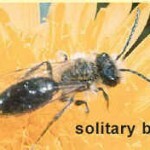 The pictures below show bumble bees, wasps, solitary bees and honey bees to help identification. 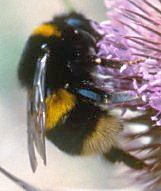 If you think they are Bumble bees please leave them be – their nests only last abut three months and then they are abandoned and the mated queens disperse later to hibernate for the winter. 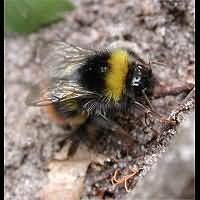 The tree bumble bee typically likes nest boxes so it’s best not to site these near your doors or windows. video of bees in a swarm – using the waggle dance to communicate a potential new nest site.